This is the story of my 15-day yoga teacher training that was a hatha yoga experience of a lifetime! 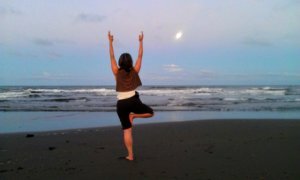 Many of my friends and family have asked me about my yoga experience at my teacher training school in December of 2011. Was it hard? Was it marvelous? Did I have great insights into myself? Did I have to "om" at lot? Was it anti-Christian? 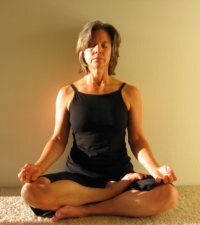 I have had a difficult time putting into words, exactly my yoga experience. This is unlike me! In order that I do not have to repeat myself and also to clarify my yoga experience in my own mind, I am reflecting in this article, what was for me an unprecedented experience of a kind I had never before known. It was a true yoga immersion. The mantra I had prepared myself to say prior to the yoga teacher training, was from the quote above. Like releasing into a specific yoga pose, I knew I needed to surrender to the yoga teacher training and to surrender to what I believed was my new path. Breathing, as in all things yoga, helps me ground myself, stay open minded and ready to receive. As I was to soon discover, I was going to need this grounding. The yoga teacher training I attended, was a 200 hour, Yoga Alliance approved, foundational yoga training. The emphasis was on the classic hatha yoga postures, and foundational training in anatomy, the yoga sutras, and an introduction to various types of yoga, including restorative and therapeutic yoga. 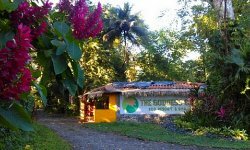 For 16 days in December 2011, we stayed at the Goddess Garden in Cahuita, on the east coast of Costa Rica. 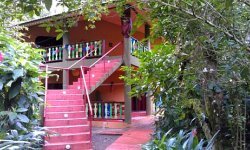 While the resort was only a short walking distance to the Caribbean, my yoga immersion required that we, the students move between only 3 buildings: our dormitory, the dining room and the yoga hall. We had a few outings to the beach, but essentially, we were so immersed that there was not much free time. 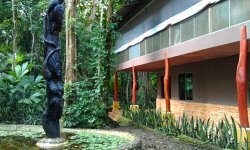 These three eco-friendly buildings were in the heart of the Costa Rica jungle. While there, we were smack in the middle of the rainy season. So even if we had free time to go to the beach, we couldn’t have anyway due to the relentless rain. The yoga teacher training was something I had been resisting for some time. I had given myself many excuses as to why this was something I really didn’t need to do. I discuss the soul searching that it took for me to finally make the decision to attend the yoga immersion, in my article, "What is My Passion?" Since I am an adult, independent learner, suspicious of most institutions, I had my work cut out for me. I chose the yoga immersion for 15 days, so that I could focus on the yoga teacher training, get it over with and get on with my plans. This way, the training would not involve a long period of time, with many sacrificed weekends. I even chose to live in a dormitory with four other roommates, instead of a private or semi-private room to get the full experience! Since I had chosen the yoga immersion path, I knew the schedule would be tough. I was up for the challenge. We would arise at 5:00 to shower, dress and prepare all our materials for the day, grab a cup of coffee or tea (yes, this was available!) and head off to 6:00 a.m. practice. This session lasted until 8:00 a.m. when we had an hour break for breakfast. After breakfast, the training schedule was 9:00 a.m. until 1:00 p.m when we had another one hour break for lunch. Then back to yoga teacher training for another 5 hours, from 2:00 p.m. to 7:00 p.m. After dinner, which was at 7:00 p.m., we would roll back into the dormitory usually by 8:00 p.m. This was our schedule, each and every day! In the evenings we were expected to review our lesson from the day, and read and prepare for the next day. I was usually way too exhausted to study in the evening, and instead I showered in the evening. This helped with the morning rush of roommates, helped me relax to try and sleep, and washed me of the sweat that was ever present on my body. I managed to squeeze about 30-45 minutes of studying into the morning hours, finding I was eventually getting up between 4:30 a.m. and 5:00 a.m. to do so. I was a true Yogini! As if the yoga teacher training schedule wasn’t enough, God had an even greater challenge in store for me. On the day after my arrival at the resort, I received word, via e-mail that my mother, ill with Alzheimer’s for many years, had taken a turn for the worst. When I left Colorado, my father-in-law was in the hospital with a serious heart condition that was totally unexpected. My husband lovingly released me to attend the yoga teacher training anyway. We had in place a family plan, should his father make a turn for the worst. My stepson Alex would fly to Florida where my father-in-law lived, and be there for my husband, to support him through any difficulty that arose in my absence. I never expected my mother to be the problem! She was perfectly stable when I left for Costa Rica. Two days into my yoga immersion, at dinner, I received a call from my husband that my mother was indeed taking a more serious turn for the worst. He had talked to my family, and the doctor confirmed that she was in the "active dying process." However, as most of us know, we can never truly tell how long it would take for our loved ones to pass on. My husband assured me that my family felt I should stay in the yoga teacher training, that funerals were for the living, and that everything was being taken care of. I knew that this was all true. The information, however, did not give me much solace. Every time in the past that I had seen my mother in Pennsylvania, I would always say goodbye, not knowing if I would ever see her again. Despite all the facts, I was in an emotional quandary. Even though my mother was no longer recognizing me, I wanted to be there for my family. I wanted to be part of them and share the grief that we all were feeling. 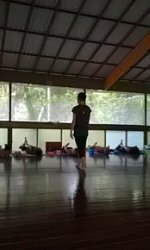 I decided to stay in Costa Rica and wait it out, even though my yoga teachers gave me the grace to return another time to the training without financial loss. As the emotional intensity of my mother’s pending death increased, so did my yoga teacher training. Yoga immersion opens up the opportunity for intense self-examination and each and every student was going through this process. On any particular day, an individual would have an emotional meltdown. This would happen invariably as the student became the center of attention of the class. As yoga teacher trainees we had to learn to be in the limelight. Failures and successes abounded. Tears and laughter abounded as well. Our yoga teachers spared no mercy in their attempt to turn us into qualified yoga teachers. While I did not approve of all of their methods, I continued to surrender to the process of their yoga teacher training. I even had the strength to coach several others who did not initially have the ability to surrender. All in all, the situation was highly charged with emotion. On certain days we would have our own yoga practice at 6 a.m., where we were allowed to focus on the areas of our need and those areas where we knew we were deficient. I would do my personal yoga practice at this time with tears of grief streaming down my eyes. I couldn’t help the flow in the quiet, meditative atmosphere. I could keep the tears in check during the structured classes, but when left to the silence, I became a faucet. The positive energy from those around me sustained my spirit and helped me to keep moving forward. I had lots of support and sympathy. Through all of this intense training, at each break I would race back to the dormitory, where the only Internet connection existed, using the WiFi on my cell phone to look for messages from my family on my mother’s condition. I knew exactly on the ¼ mile walk from the yoga hall to the dormitory where the connection would pick up, as I slowed my pace to receive the news. My sisters, in their e-mails, would lovingly relate that her impending death was unfolding peacefully and with no sign of pain. Hallelujah! I would shed tears, wipe them and run back to the dining hall to eat quickly, go to the restroom and prepare myself for the next class. On the fifth day of my training, at my lunch break, I received the news that my mother had finally passed into Peace. It had taken much longer than I expected. Just enough time for me to have embedded myself into the yoga teacher training, making it much harder to leave now. Ironically, her passing was on the same day as my instructor’s birthday! When I informed my instructor of her passing, she reminded me of the circle of life: when one is renewed, one passes on. The funeral plans were coming together. The funeral was to be held on the final day of my yoga teacher training! I wrestled with my conscious. Should I stay? Should I go? My heart was longing to stay. I had already invested so much into the training. Yet I couldn’t imagine not going! What type of person doesn’t go to their own mother’s funeral? Through various encouraging electronic communications with my sisters, I decided to stay. On my way to the yoga hall on the day I made this decision, I felt compelled to look around the jungle garden to find a flower that reminded me of my mother’s life. I soon came upon a petite orange heliconia, and it instantly reminded me of her. I picked the flower, thinking I would place it on the center floor of the yoga hall, where we were all encouraged to place flowers and other meaningful items. Today, my mother passed into Peace. On the way to class I picked this flower that reminded me of her, because she was quiet and petite - unlike me! I also picked this flower because it is orange, and as we learned, orange is the color that represents the 2nd chakra, our creation center. From her creation center came 11 souls. (The whole class sighed audibly after this statement). And each one of us 11 souls took from her a part of her soul. And from this day forward, that part of her soul will always live on in me! I then placed the petite, orange heliconia in the center of the yoga hall with some other flowers and artifacts. I don’t suppose there were many dry eyes in the yoga hall, but I never knew for sure, because my own vision was too blurry to notice. I settled into the remaining days of my yoga teacher training. I grew more tired each day, as the end approached. The long days were getting increasingly demanding. Practicing yoga for 6 hours or more a day was taking its toll. My emotions were still raw, and I’d find myself grieving at the most uncertain or inconvenient times. Through it all, my roommates and I bonded and they shared stories that were as compelling as what I was going through. It was a time where never before did I understand the human condition so much. This was because of our unique setting, the uncommon living conditions where we were placed and the intensity of the yoga experience. We were all taking a journey that brought us together in one common goal. I met so many different experiences and beliefs, yet we were all united in the experience of being human as we were living it in this yoga immersion. We are all so self-absorbed, but I did my bravest best to be there for the others. One classmate even told me that perhaps I would learn more about myself if I stayed at the yoga teacher training during my time of grief, than if I had returned home. She turned out to be right! On the final day of my yoga teacher training, the day of my mother’s funeral, the class consisted of each student teaching one of their favorite poses. All of the 26 poses were included, one for each student, as we formed our last practice together, with each student’s successive pose. I was on the list for the second to last to teach. The class flowed from yoga pose to yoga pose, from one student teaching to the next. It was a special and sad time. We all knew that this was to be our last practice and our last time together. When it came to my turn, I was to teach the plow pose and the shoulder stand. For me, the plow pose represents surrendering one’s will to the will of God. In this pose, the throat area is compressed as the neck is bent. Bending your neck in such an extreme posture always makes you think about bending your own will, your own voice. Plus, your world is literally turned upside down, when you extend your legs up into the shoulder stand, from the plow position. My will is strong, and bending it through this pose is a very meaningful experience for me. For sure, my world felt like it was being turned upside down. 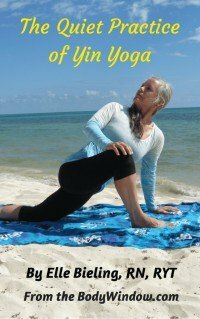 As I began to teach this yoga pose, I invited my classmates to bend their own wills to the will of God as they all went forward from this yoga experience. During my meditative tone of voice, one of my teachers, breaking the spiritual spell of the moment, suddenly yelled out, "Who shouldn’t do this posture?" "What props should always be used?" "This is not how the other teacher taught you to teach this pose!" My classmates looked dumbfounded as they sat up from their backs, while the instructor barked out different instructions than I was giving. We were 2 poses away from being finished, and being graduated when my instructor went into this tirade. I just stood there, paralyzed, not moving or speaking. Out of the corner of my eye, a classmate was motioning for me to breathe! She was coaching me through the ordeal. Finally, after what seemed like an eternity, I surrendered and went around the class, assisting them all to place a blanket under their shoulders, as my instructor wanted, to teach the supported shoulder stand, not just the regular shoulder stand. I fumbled my way through the rest of teaching of the pose and humbly sat down on my mat. While we rested in the final pose, the corpse pose or Savasana, in silent meditation to assimilate the rigors of the yoga practice, I was overcome by the need to be connected to those who cared about me most. I quietly rose from my back, and got my cell phone out of my yoga bag. I opened my e-mail to a loving and supportive e-mail from one of my sisters. I held the phone against my heart, and went back to the lying meditation. The tears didn’t even flow. I felt free. Free at last. My behavior was partly the overwhelming need to be present with my family as they buried my mother on that very day, and yet, I admit, partly defiant. 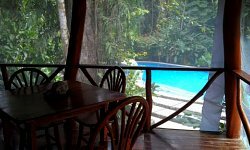 I had surrendered long enough and wished to be away, far away from Costa Rica, to a town in Pennsylvania. I wanted to give my teachers the message that my true bonds lay elsewhere. Granted, I had not taught the pose as I had been instructed. I was teaching to the students who I knew could take care of themselves, who were experienced enough to know when to use props and accommodations. As a final practice in our yoga teacher training, we all formed a circle, holding hands to sing our final song together. I kept the cell phone next to my heart, and told my sweet classmate to the left of me to hold my elbow instead of my hand. She looked confused, but I needed to give her very little explanation. Later, other classmates told me they figured out as well, what I was doing. In our final evening together, others shared some of their hurtful moments with me as well. We all had had our moments. We all are better people because of it. For me, I knew that I could surrender and learn amazing things, without completely sacrificing my integrity. My being was only assaulted if I let it be so. I could truly take away a great gift while surrendering at the same time. I could learn to be a great yoga teacher, while yielding to the instructors who knew much more than I did. I could now pass on the gift of healing through yoga. For sure, I left the Goddess Garden a much different person than had arrived. I know that if I could go through this emotional and grueling experience that what lied ahead seemed small in comparison. The teachers of this yoga immersion had taught me so much more that I had expected to learn. It was much easier to surrender than I had supposed. The classes were taught in a much more neutral manner than I expected. I did not have to practice Hinduism to pass the yoga teacher training. In fact, there were a few Buddhists in my class, no Hindus that I knew of and lots of Christians. Wall Yoga ~ What Could You Do if You Were Truly Supported?